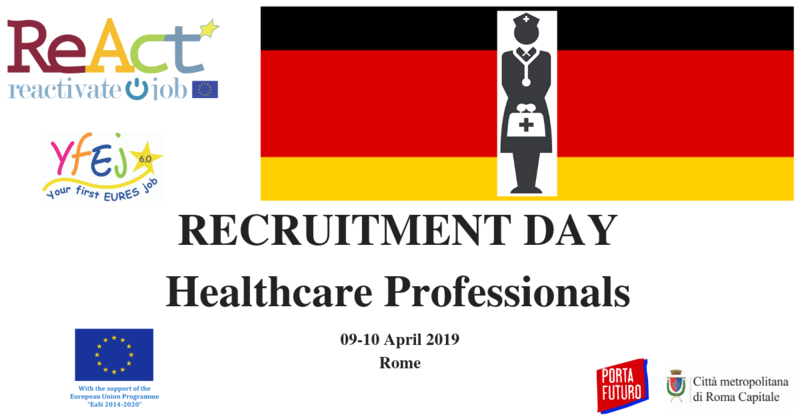 We are organizing a Recruitment Day for Healthcare Professionals that will be held in Rome, Italy, on Tuesday 09th and Wednesday 10th of April 2019. For more information about the working conditions and requirements, please check the vacancy. To apply: register on Reactivate/YfEj Platform and once you are registered and have completely filled in your CV, please contact italia@joblaborum.com and in copy (CC) info@reactivatejob.eu, indicating "Recruitment days AllcuraMed" in the subject. You will be given further instructions to complete the registration to the event.